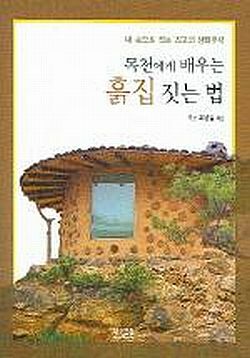 While surfing the web I came across a picture of a uniquely beautiful cordwood home in South Korea that was labeled “Korean Soil House.” Having the good fortune to have a friend teaching in Seoul, South Korea at that time, I asked if he could try and track down the only available book on the subject. Adam was successful in his search and kind enough to cajole a bi-lingual friend to translate small portions of the book. I spent many hours attempting to make contact with the book’s author, but time and language constraints brought my search to no avail. Therefore, this should be considered a book and internet review of a very interesting development in traditional Korean architecture. These soil houses often called “cobwood” in the West, are traditional peasant homes that dot the Korean countryside. The homes are made completely of soil, but now builders are using cordwood rounds in the walls for structural stability. Fortunately, there is a Korean book written about these homes. It is called Learning How to Build Mokcheon Earth Homes by Young-gil Cho. “Mokcheon” is a small village where these types of homes originated and earth homes in Korea are called heuljip or heukjip. Here is a summary of that translation. The home starts with using the “beloved soil” of Korea. Choices are red clay, red earth clay and black soil. The author recommends using whatever earth you have under your feet as long as it is not black, organic loam, or contaminated soil. Pine from a hillside is best for log ends. Useable woods are nut pine, fir, Japanese pine, pitch pine, hemlock, white spruce, Douglas fir and Korean spruce. As for drying the wood, he suggests letting it age in the wind, sun, rain and snow. A circle between 16 and 20 feet in diameter is marked with lime (like chalking a baseball field). The soil is disturbed to 24″ and then all rock and loam are removed. The soil is replaced and tamped. Then, two 16″ wide concentric circles are drawn to determine the perimeter. Rocks are gathered and placed 12″ high on the tamped ground. The rocks are laid 16″ wide to accommodate the logs and the soil mortar. At ground level, an exterior fireplace entrance flue is included to utilize the traditional Korean method of funneling a warming and cooking fire into the home. A mix of 5 parts soil to one part cement is used to stabilize the foundation. The mortar is 100% soil mixed with water. The soil is mixed with water by hand (similar to stomping cob). The soil and water mix are left covered for 2 to 3 days before mortaring. The soil is placed all the way through the wall. There is NO insulation cavity. The logs are placed a minimum of 4″ apart, although some builders place them much farther apart. The soil mortar is moistened at day’s end and before beginning the next day. With larger logs a stick is placed underneath the bottom edge to reduce mortar slump. Tuck pointing is done with gloved hands, a paint brush, and a putty knife. Sometimes log ends are lightly burned with a propane torch to produce a star pattern. The walls have significant mortar cracking and checking as the soil dries. If red clay can be found nearby, it is used to plaster over the dried soil. Often it takes 2 or 3 applications of clay to produce a smooth, crack-free surface. The interior can be warm and inviting once soil cracks have been taken care of and ample lighting is provided. 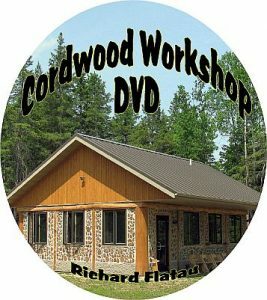 There is a growing number of soil/cordwood houses and cottages being built in South Korea. So much so, that a market has developed to buy and sell these homes. 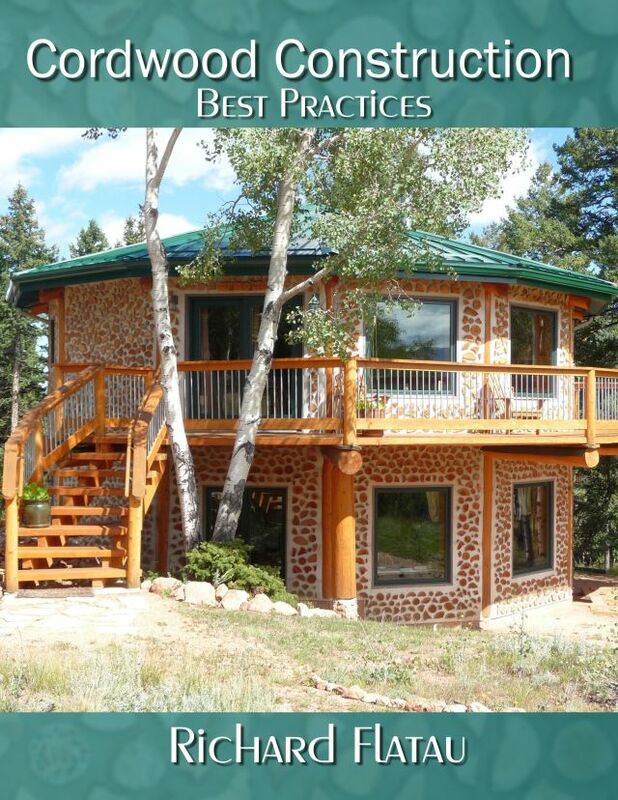 A popular website is www.hwangto.info which has many colorful photos and some earth/cordwood homes for sale. Some of the websites appear to show an earth cottage resort/spa destination. 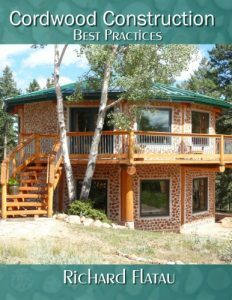 The development of the South Korean soil and cordwood houses reminds me of the “back to the land” movement in North America in the late 1960’s, as well as the current natural and tiny home craze. There is an energetic desire to go to the countryside and erect one’s own dwelling with one’s own hands.